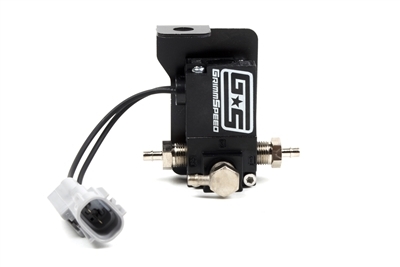 Revolutionizing the Subaru boost solenoid market, GrimmSpeed has created model specific install brackets that allow you to install this Boost Control Solenoid with a factory fit and finish. 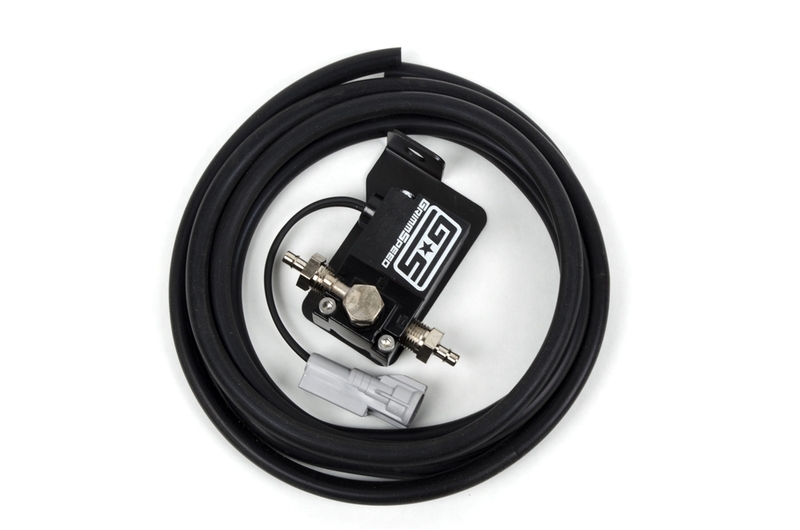 To top it all off, the solenoid also uses a Subaru wiring harness connector so that you can simply unplug your OEM solenoid and plug this one in. No more cutting and crimping OEM wires together! The solenoid itself is one of a kind. MAC manufactures pneumatic control products for the largest commercial operations in the world, where every minute of downtime can cost tens of thousands of dollars, so GrimmSpeed worked closely with their engineers to design this unique valve, incorporating proprietary features, exclusive to GrimmSpeed. That makes this solenoid the toughest on the market. Those features include special seals to protect it from moisture and high temp coils to keep response times at 6 milliseconds or less, even in extreme heat. Electronic Boost Controller for your 2008 - 2014 Subaru.